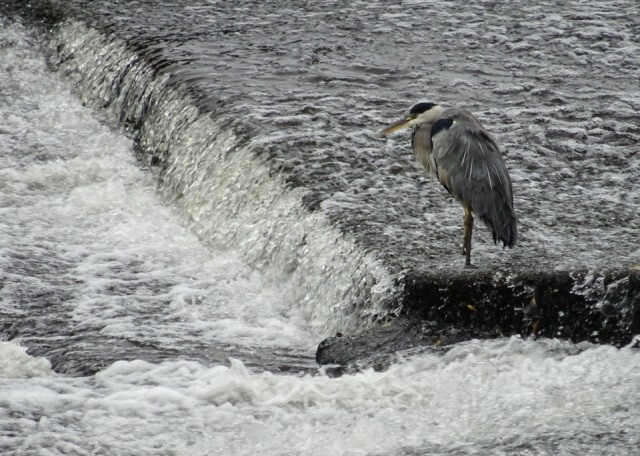 At it's usual spot on the weir at Saltaire, a Grey Heron patiently waits. I was between buses (necessitated by the train strike) on my return from Keighley where I'd watched Steeton go down 1-3 to Longridge Town. Earlier still we'd enjoyed the scarecrow walk in the village, despite the rain.